Established in 1892, the designers at A. Jaffe have been responsible for creating some of the most stunning and creative women's and men's wedding bands on the market today. 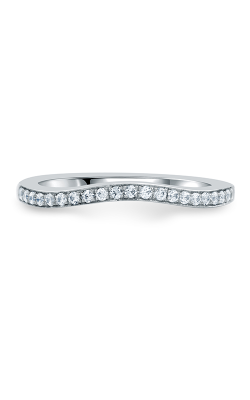 Utilizing tried-and-true European jewelry making techniques, the wedding bands of A. Jaffe are elegant, sophisticated, and can be found featuring brilliant 18-karat white gold, yellow gold, rose gold, platinum, and adorned with an array of beautiful princess and round cut diamonds. It is for these reasons, and so much more, that Medawar Jewelers is proud to bring their customers an unbeatable selection of A. Jaffe wedding bands today in any of their five amazing Michigan locations. Since 1978, Medawar Jewelers has brought their West Lansing, Portage, Okemos, Brighton, and Jackson, Michigan, customers nothing but the absolute best in contemporary bridal jewelry fashions. Keeping with this commitment, the bridal experts at Medawar Jewelers are honored to be an authorized retailer of a stunning diamond wedding bands from the legendary designers of A. Jaffe. Popular A. Jaffe wedding bands on display now at Medawar Jewelers include the vintage-inspired, diamond-covered women's wedding bands of the A. Jaffe Art Deco, Classics, Metropolitan, and the exclusive pieces of Seasons of Love collection. 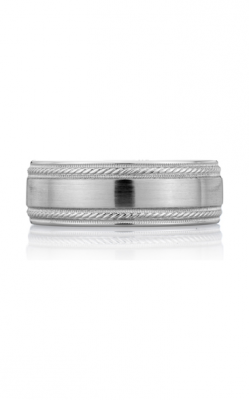 Not to be overlooked, Medawar Jewelers also offers subtle and stylish men's wedding bands, such as the handsome pieces that comprise their innovative men's Art Deco, Classics, and Metropolitan band collections. With five wonderful showrooms across Michigan, Medawar Jewelers is your source for the latest in name brand, luxury quality, engagement rings, wedding bands, timepieces, and an array of diamond-covered necklaces, earrings, bracelets, and fashion rings. Family-owned for nearly 40 years, Medawar Jewelers an authorized retailer of not only A. Jaffe, but also designers such as Benchmark, CrownRing, Verragio, Pandora, and many more! Further, to ensure the lifelong satisfaction of their Okemos, Portage, West Lansing, Jackson, and Brighton area customers, the friendly staff of Medawar Jewelers extends in-house jewelry repair, timepiece repair, custom jewelry design, as well as daily gold and diamond buying services.